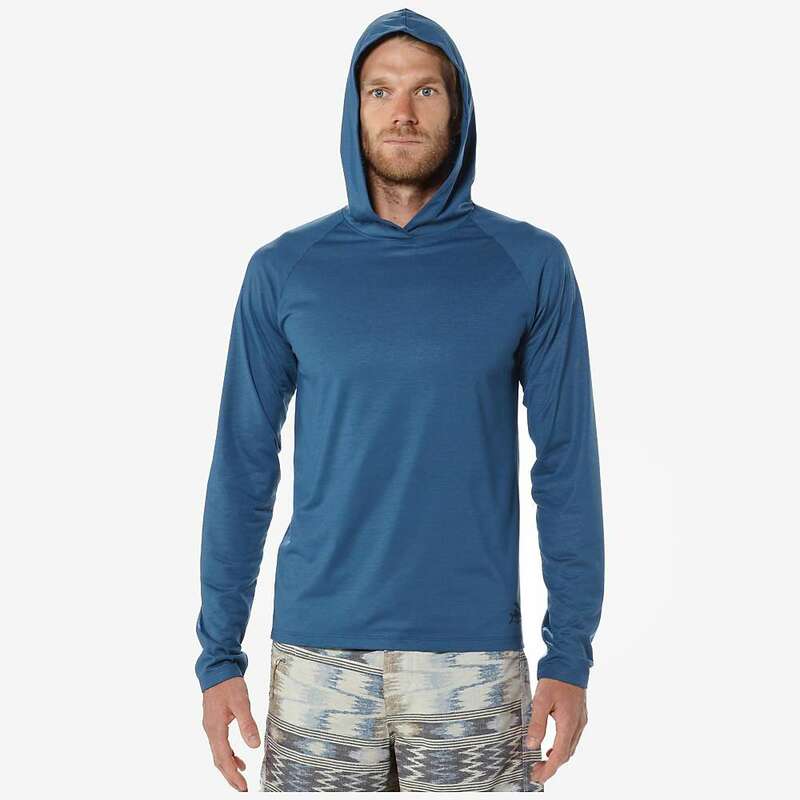 The new summer-ready Polarized Hoody from Patagonia offers reliable 20-UPF protection for long hours on deck in the broiling sun. At home in or out of the water, the soft and comfortable 100% polyester fabric feels like cotton but won’t chill you when wet. The hydrophobic material sheds water, so the spray from whitewater or waves won’t soak you and slow you down while paddling. The integral hood shades the neck, ears and head and offers full freedom of movement when you paddle out for that epic open-water crossing. This can serve for everyday summer wear or for a trip-ready pullover. Slim fit with straight hem. 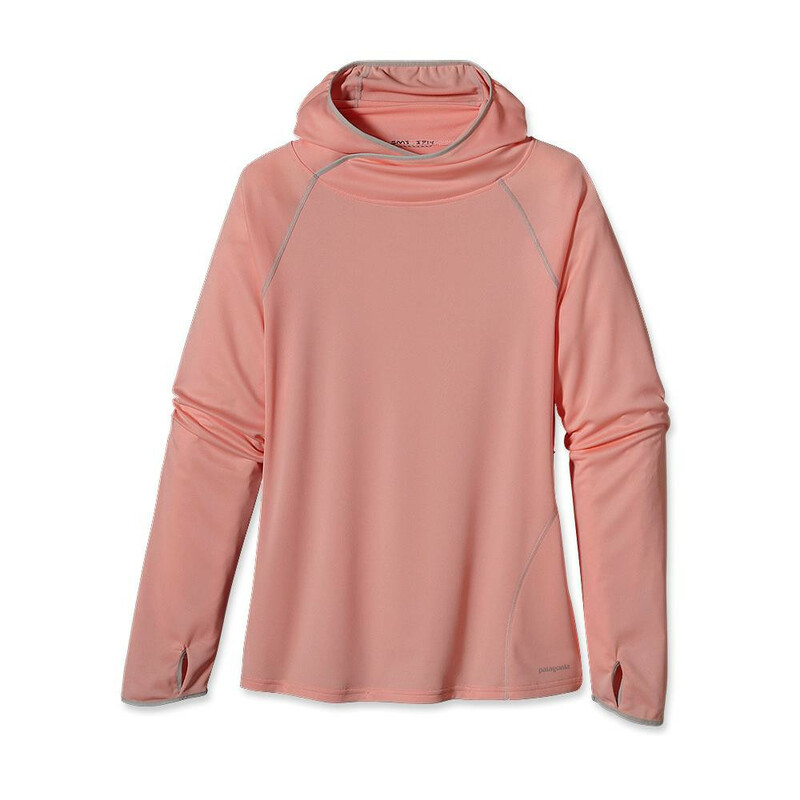 A similar item for women is the Sunshade Hoody, a flattering, femininely tailored hoody that takes the sun shirt concept to the next level. 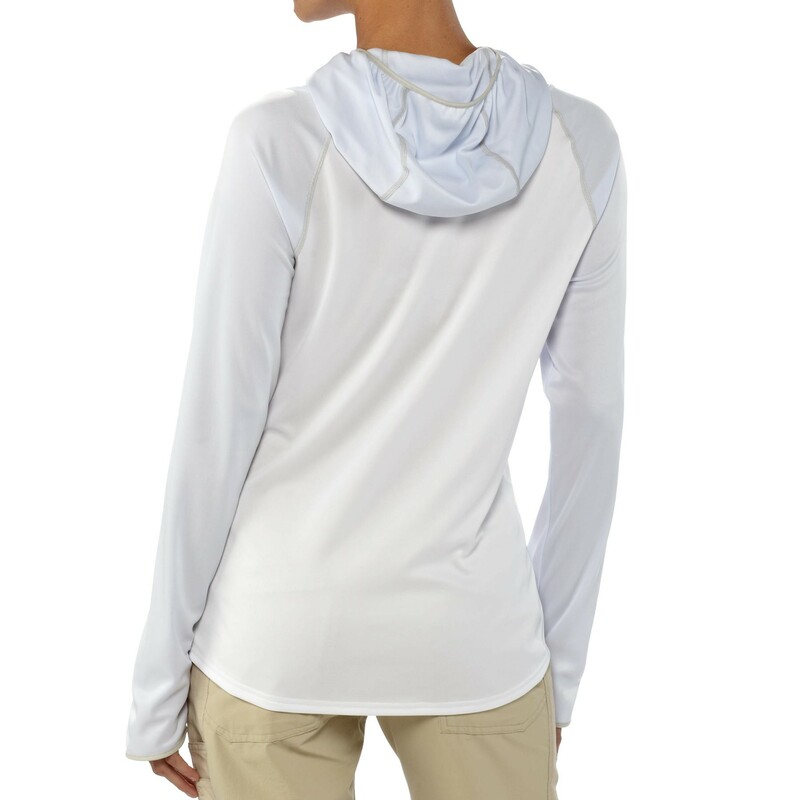 Made with ultralight, airy 3.54-oz polyester double-knit fabric, the Sunshade Hoody provides complete upper-body coverage and 45-UPF sun protection. 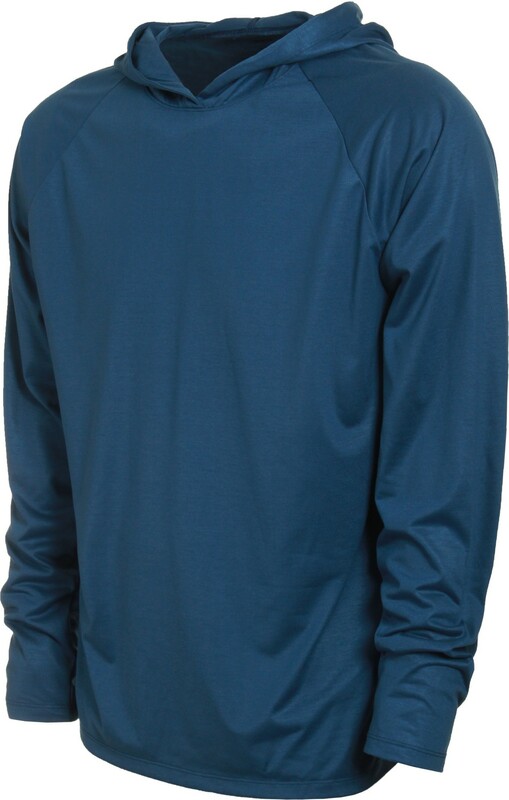 Thumb holes pull the sleeves down to cover hands, built-in sun mask and hood fit easily over a baseball cap, and there’s a hidden zippered side pocket on the left hip. In punishing heat, the Sunshade Technical Hoody is the next best thing to cranking up the motor and running full tilt just to cool off. Available online or at Toronto’s Patagonia Store.